In this Feature Friday we review the MPD32 Professional Controller by Akai, one of the most well known brands in the music production gear scene today. 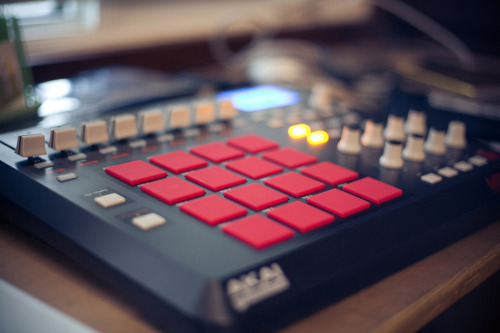 Presenting another easy to use music production AKAI brings one of the most versatile products on the market to your doorstep, this extremely affordable machine will do everything you need and more. This MIDI controller will provide you with everything you need to make fire beats in no time. [su_expand height=”60″ text_color=”#000000″ link_color=”#8c2f2f” link_style=”underlined” more_icon=”icon: arrow-down” less_icon=”icon: arrow-up”]I recently had the opprotunity to use the Akai MPD32 and it’s a really cool product. For this price bracket you can’t beat the quality and shear number of options you get from this beautiful machine.